Saudi Arabia’s Sabic, a global leader in diversified chemicals, has unveiled a new line of high-clarity, high-heat, injection moldable polycarbonate copolymer resins. Lexan CXT resins can offer a unique balance of high temperature resistance, high flow and excellent colour stability under extreme molding conditions, together with a high refractive index. Lexan CXT resins can be used in optical applications in the electronics, consumer & industrial, and healthcare industries. Typical products in the first two areas include lenses and small sensors that detect visible light; in healthcare, the materials answer the call for excellent optical quality and the ability to resist high temperatures involved, for example, when over-molding clear face shields with silicone rubber. Global industry trends such as miniaturization and the need to integrate more functions into less space are driving a growing demand for the level of performance offered by Lexan CXT resins. With Vicat B120 softening temperatures as high as 190°C and glass transition temperatures (Tg) of up to 195C, Lexan CXT resins can provide converters with the potential to injection mold parts that can withstand demanding assembly processes, such as cold reflow or wave soldering onto printed circuit boards. Parts will also stand up to prolonged exposure to high service temperatures. Lexan CXT resins, which can have a refractive index (RI) over 1.6 as well as high transparency (greater than 89 per cent in the visible and infrared spectra at a thickness of 1 mm), can help enable the production of very small lenses (such as those used in mobile phones) that can be assembled onto a PCB that then goes through various soldering operations. The very good thermal stability of the Lexan CXT resins can help prevent deformation or discoloration. Feedback from Sabic customers over the course of the development of Lexan CXT resins indicates numerous other potential benefits. These potential benefits include: improvements in productivity and system costs through shorter cycle times; improved dimensional accuracy; fewer production stoppages and lower reject levels; and the potential to create components with more complex geometries, thinner and longer walls, and improved textural definition. 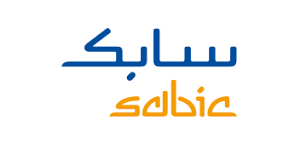 “The launch of this new portfolio is the result of us taking heed of the current and future needs of our key customers in different segments and then implementing key innovations in resin and product technology to respond to these challenges,” said Joshua Chiaw, director at Sabic. The new Lexan CXT resins will complement existing Lexan polycarbonate copolymer specialty resins, which include EXL, XHT and SLX resins. These can be distinguished, respectively, by particularly good low-temperature impact resistance, heat resistance in clear and opaque forms, and high weatherability.